Managing your time to run a successful massage practice (by yourself) can be challenging, and creating effective business and practical goals are different for every person. Each massage therapist must decide how much they want to work, how much income they require and how much personal time they need to create that perfect life/work balance. I recommend that new massage therapists should be extremely flexible with their schedule to see as many clients as possible, earn client referrals and build a client roster and reputation. After a massage therapist learns when they have the most number of appointments, they should start setting goals. 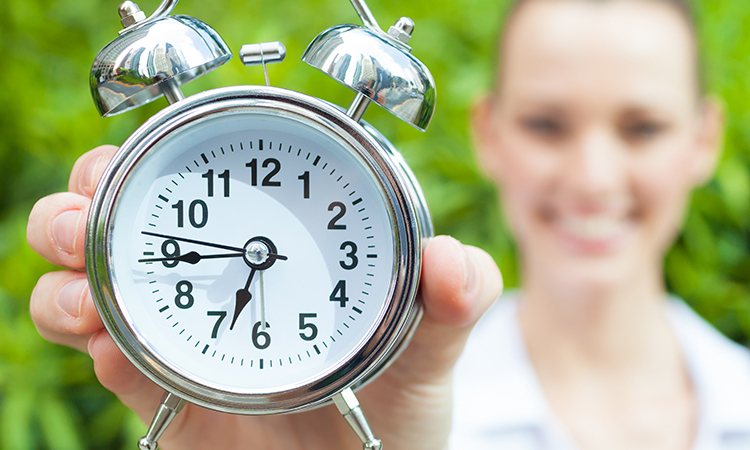 Encouraging clients to schedule all on the same day(s) to gain greater personal time. Start building appointments on the work days when you have the most amount of business. Free foot scrub Fridays; or, whatever fits your business to try to consolidate regular clients into the same work days to create greater personal time. Create goals of how many clients/appointments you want to see in one day, and reward yourself the first ten times you meet that goal. Enjoy some type of a treat, movie, slice of pizza or key lime pie. Do something to feel good about your accomplishment when you meet your goals and enjoy your career. It’s important for massage therapists to set limits with their goals as well. You can also set a maximum number of hours you should book in one day for a particular modality. For instance, many therapists do not perform more than 2 to 3 hours of hot stone massage to avoid overheating and exhaustion. Be sure to set a minimum number of hours or days that you require for personal time. I personally have broken my work limits and goals on many occasions, but I always do so with a certain rationalization. Personally, my limit is that I do not perform more than 4 hours of massage per day given most of my work is deep tissue. But, if I have to provide a fifth hour, I will take extra time off to make up for it. Switching and trading work hours with personal time can become a regular practice. So, it’s good to reward yourself, know your limits and recognize when you’re pushing it to keep yourself happy and healthy. If you do not set limits or goals then your career could become a big question mark. Setting career goals, limits and rewards will help create a picture of what your work and personal life should like together. And when you set these standards, make sure you are happy with them. Be positive, be creative and dream. This career is yours and whatever you make of it. Be appreciative of what you get and don’t ever be afraid to strive for more. Selena Belisle is a 3x WAF World Arm Wrestling Champion who holds other minor athletic titles in a variety of sports. She has been practicing massage for almost 30 years and is the owner of ceinstitute.com in Miami, Florida. Belisle teaches several massage-related subjects in both live and online classes. She specializes in both sports and spa education as well as many other bodywork modalities.